Gene Rogers was born on July 29, 1933, in Kiln, Mississippi. He enlisted in the U.S. Air Force on January 7, 1953, and completed Basic Training at Lackland AFB, Texas, in March 1953. 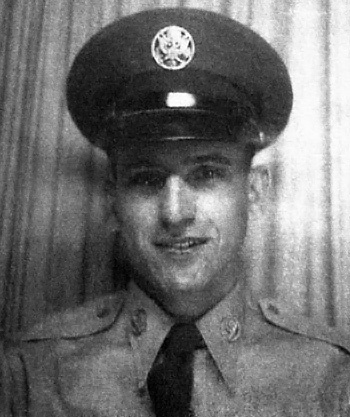 Rogers was trained as a Ground Radio Operator at Keesler AFB, Mississippi, and then served as an instructor in the radio operator course at Keesler until July 1954. 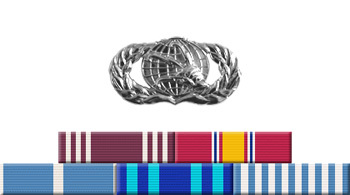 His next assignment was with Headquarters 5th Air Force at Nagoya AB, Japan, from July 1954 to June 1956, followed by service back at Keesler AFB, where he was an instructor with the 3396th Student Squadron until leaving active duty and receiving an honorable discharge on December 7, 1956. Airman Rogers was honorably discharged from the Air Force Reserve on December 31, 1960. After going to college at the University of Southern Mississippi, Gene worked for the Harrison County Family Court as a Youth Court Counselor in Gulfport, Mississippi, from 1958 to 1968. He worked with the Law Enforcement Assistance Administration from 1970 to 1979, was a director of the YMCA from 1979 to 1981, and served on the city council of Pass Christian, Mississippi, from 1986 to 1998. During his last 6 months as a city councilman, Gene also served as acting Mayor of Pass Christian. Gene has worked as an automobile salesman for Bubba Oustalet and Butch Oustalet Ford in Gulfport, Mississippi, since 1981.